The design of the project was entrusted to the Pepe Cortés architecture and interior design studio, in collaboration with architect Nacho Ferrer. Both were capable of responding accurately and faithfully to the owners’ expectations, in both technological and aesthetic terms. – Integration into the territory: the winery was merged into a hillside and its rooftops are covered in vegetation. – Respect for the environment: The idea was to not destroy or change an environmentally sensitive area. The winery is oriented northwards, which contributes to its temperature control and enables electricity consumption for air conditioning to be substantially reduced. – Technical functionality: the dialogue between the architects and the owners was fundamental during the building process and their knowledge allowed a series of premises to be followed to endow the winery with maximum functionality. – Contemporary design: the choice of the architect is explained by the desire to produce a building that combines quality with aesthetics. A concept that is simultaneously modern and enduring. This concept is palpable, not only in the construction but also the interior of the winery. 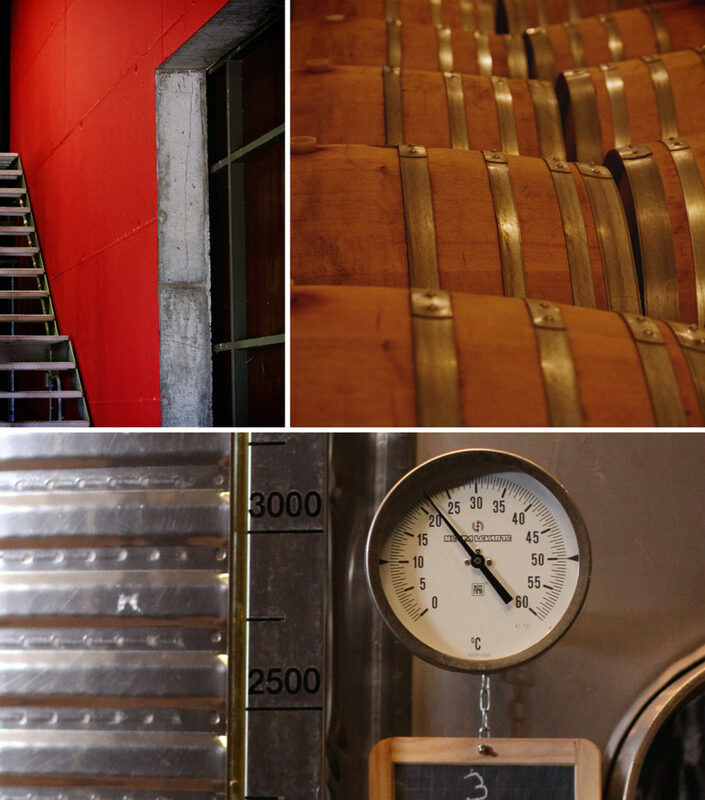 The winery is equipped with state-of-the-art winemaking facilities, based on the principle of gravity. In effect, the entry of the harvested grapes takes place at the highest part of the winery, where the selection of the grapes takes place. A sorting table is used, which allows selection to take place before and after de-stemming. Next, the grapes are transferred directly to the fermentation vats without any need to use pumping equipment which might damage the fruit. The vinification of each parcel is carried out in small stainless steel tanks and in 55-hectolitre wooden vats, which are used subsequently in the process of malolactic fermentation, and also for the ageing of certain batches. The ageing room contains 225-litre barrels and 500-litre casks, to adapt the ageing to each type of wine: transfers from one recipient to another are reduced to a minimum in order to achieve maximum quality.